Summer is nearly upon us, which for many of us means a little more time to kick back and read. 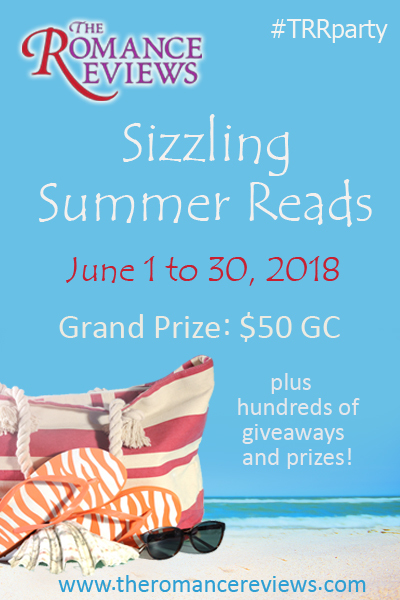 To help you get started, I’m giving away an ecopy of any one of my books as part of The Romance Reviews Sizzling Summer Reads party. Join in the fun and enter to win tons of prizes from over 100 romance authors. For more info, click on the poster below!